There has been a concerted media push recently to stoke the Melbourne versus Sydney rivalry, in light of Melbourne’s booming apartment sector. All in all these articles have been written well and are quite informative, with a pinch of ‘Yeah we’re better than you’ from either side for good measure. Domain and AFR have also chimed in with pieces alluding to Melbourne’s population on target to overtake Sydney’s in due course plus the spectre of there being a glut of rental properties on Melbourne’s horizon. The most surprising (or maybe not) find in researching the current development back and forth came when assessing The Australian’s Project Apartment publication, which in theory provides an overview of the nation’s apartment sector. There is nothing to suggest it isn’t a national publication aside from the content of course. 32 glossy pages with only a half page spread dedicated to Melbourne’s risk of oversupply. Even white-hot Brisbane barely rated a mention while the lion’s share of content and advertising was dedicated to Sydney; the sun does surely shineth out of Sydney’s. Prime Minister Tony Abbott said of the The Australian this week “It has a national perspective, not a parochial one… The Australian alone is dedicated to our country.” Upon first reading The Australian’s Project Apartment publication, I’d rather dedicate it toward use in the throne room. 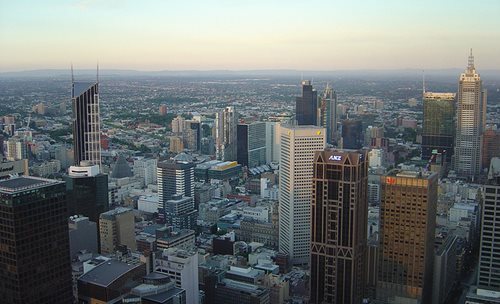 The Australian’s cockamamie publication aside, the rippling of media attention on the topic does allude to a more genuine discussion point: there is a competitive and sometimes frictional dynamic between the two cities that spurs both forward. Melbourne has been and continues to be the star performer in the eye of many an Asian property developer, to the point where the local scene is awash with apartment projects. Could Sydney benefit from Melbourne’s success as our city approaches a peak in development activity? The Harbour City is opening up to a wave of new boutique developers, with a focus on medium density developments as opposed to residential towers which is currently trending in Melbourne. A prime example is Melbourne-based Fridcorp’s push into the Sydney market which recently yielded $100M in apartment sales within two hours. 1. Melbourne developers are ‘market ready’ and have been active and adept in a heated market for some time. 2. 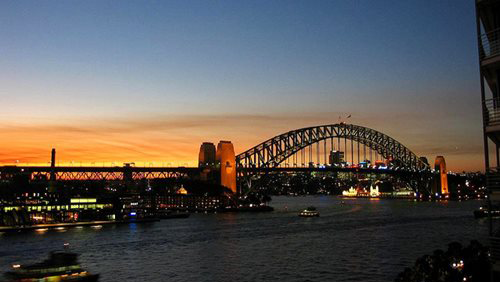 Sydney is now white-hot with opportunity and is eclipsing Melbourne with job prospects. 3. The Melbourne industrial landscape has engendered somewhat more of a ‘constrained’ construction climate. I’d suggest that in a roundabout fashion, both cities feed off one another while maintaining distinctly different identities. Urban Melbourne will enlist the help of some industry players in future articles to further explore this topic. This article was originally published on Urban Melbourne. Urban Melbourne is an independent source of medium and high density urban projects in metropolitan Melbourne and regional Victorian cities. Their passion is to shine a spotlight on all the developers, architects, builders and members of the community at large that are actively engaged in and support Melbourne and Victoria's future growth needs.